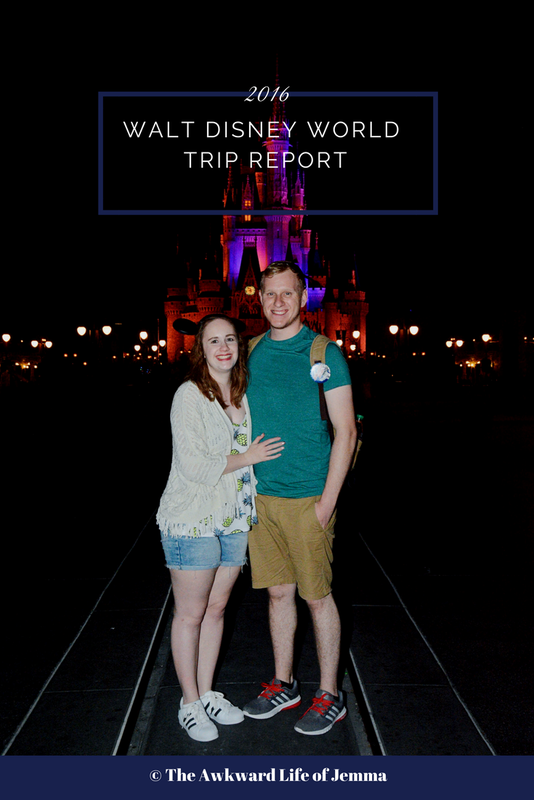 After a slight mishap where we arrived at the parking lot, realised we'd forgotten the camera and had to go back, we arrived at Hollywood Studios! 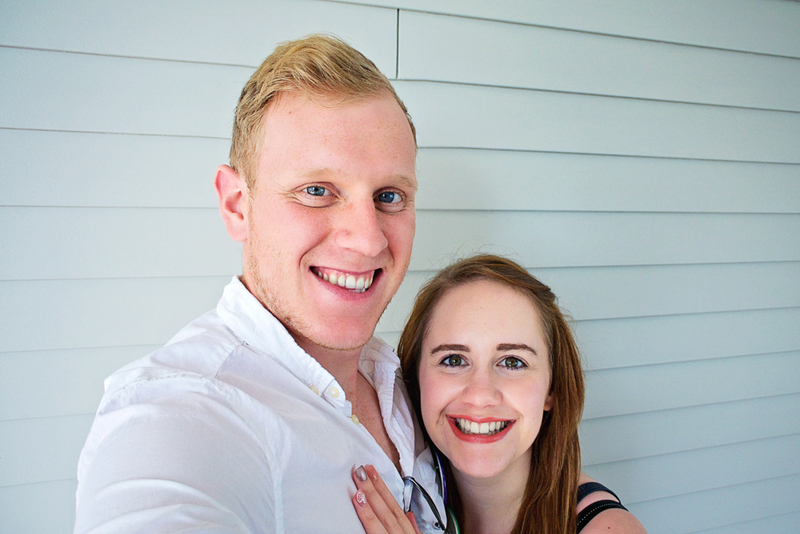 First on the agenda of the day was picking up some celebration buttons from the gift shop as we were now engaged! Sadly 'Just Engaged' buttons have been discontinued but we were given some 'Happily Ever After' buttons and the cast members kindly personalised some 'I'm Celebrating' buttons for us. Next up we headed over to Star Wars Launch Bay to meet Kylo Ren and hopefully trade the glow cube from my Glowtini at Yachtsman Steakhouse with a Jawa. 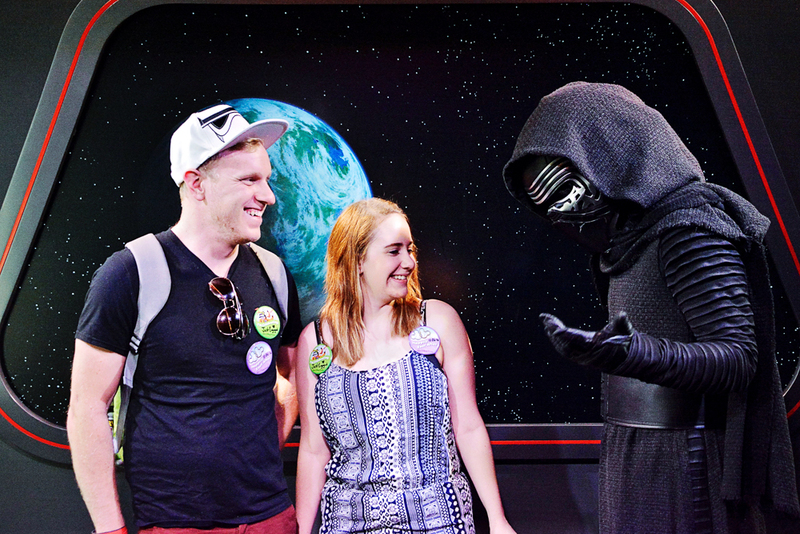 Kylo Ren was actually really intimidating! Definitely not a character that plays nice he was very direct at ordering us about and even tried to read our minds and bring us over to the dark side. 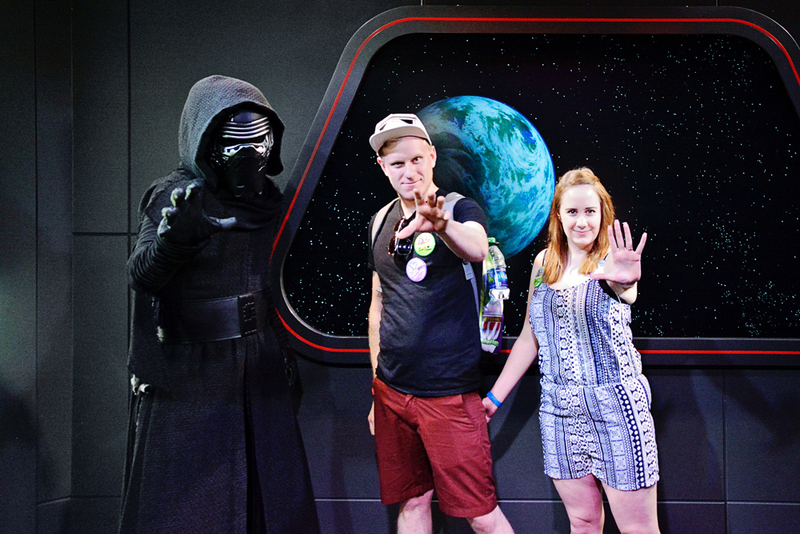 Despite making me slightly nervous he did pose for a photo with us, using the force of course. After our encounter with Kylo we hovered around the cantina area waiting to see if we could make a trade. The Jawas were very popular but so far no-one we'd seen had managed to make a successful trade offering things like hand sanitiser which the Jawa wouldn't take. Luckily it was enthralled when it saw the glow cube in Harry's hand and had a great time turning it around and tapping it as it changed colours. Sure enough it wanted to keep the cube and offered us a droid part in return. As we were in the area next we decided to watch the Voyage of the Little Mermaid show as there was one just about to start. We'd never seen it before so wasn't sure what to expect but it opened with Under the Sea performed by UV puppets of the characters followed by a rendition of Part of Your World by Ariel herself. The giant Ursuala singing Poor Unfortunate Soul was my favourite part but in general I found the show a bit dated and much prefer the ride at Magic Kingdom. We had just enough time before we had to leave Hollywood Studios to watch the Moana preview at One Man's Dream which I loved and made me really want to see the film (Spoiler: Obviously I've seen the film many times since and I still love it!). 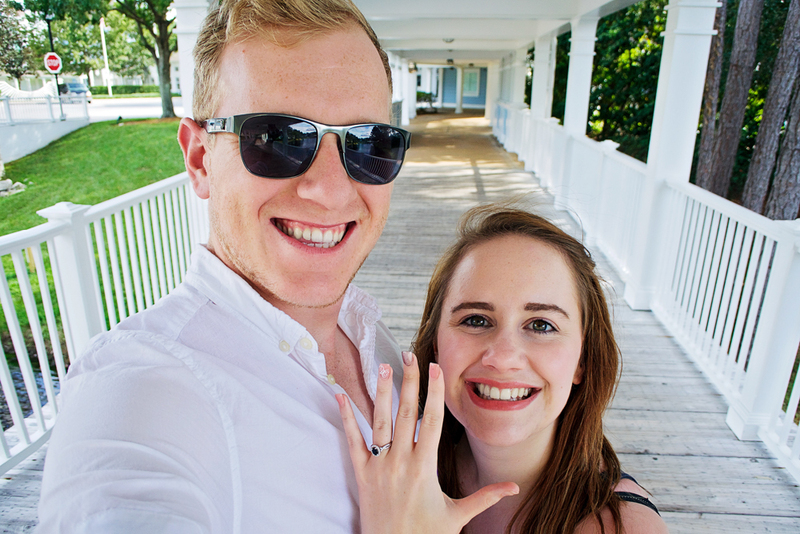 The Yacht and Beach club resorts are some of my favourite places on Disney property as they are just beautiful to look at and seeing as we had just got engaged we both decided to get changed and dress up for the occasion so we could celebrate and take some photos. 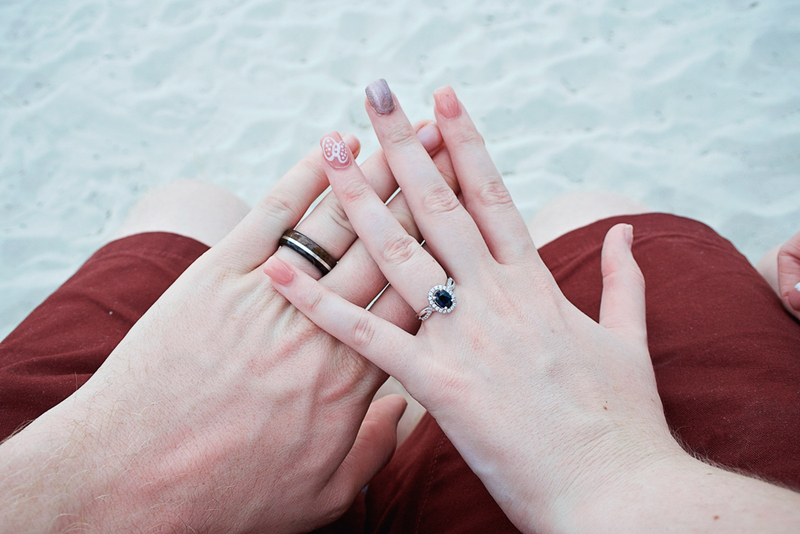 We had a bit of time before our reservation at Beaches and Cream to have a stroll around which worked out perfectly as, unbeknownst to Harry, I'd also brought along an engagement gift for him just in case and now was the perfect time to give it to him! (Read all about that here). Now it was time to check into Beaches and Cream which is the cutest little seaside diner (emphasis on the little, it's really hard to get a reservation because the place is so small) where we both ordered burgers and sodas with real cherry syrup. With the dining plan you can pretty much have whatever you want so I had a Bacon-Ranch-Chicken Sandwich with a pile of huge onion rings and Harry had a Cheeseburger with chilli-cheese fries. 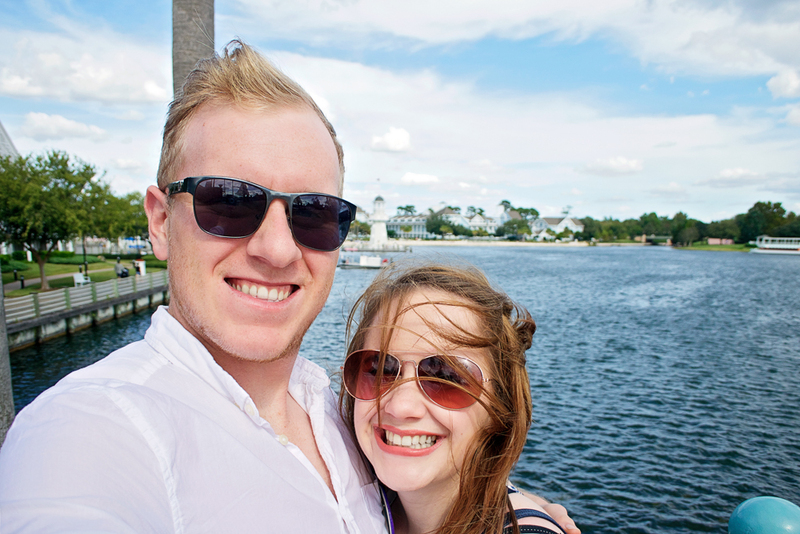 We decided to walk off our huge lunch with a stroll around crescent lake to the Boardwalk. This area is particularly special as not only do I love the theming but it's also where we want to get married in 2018. We even spotted a couple of weddings being set up as we walked around. Sure it may not be the real sea at the Yacht Club but there's certainly a seabreeze! 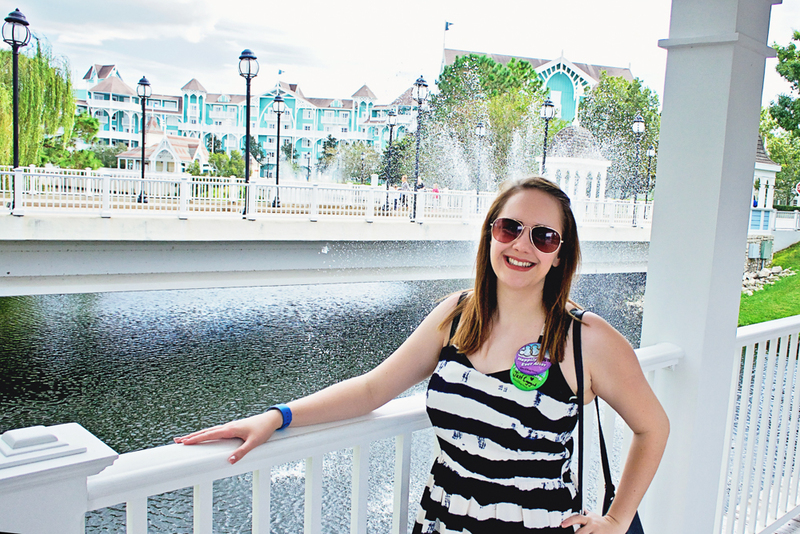 Once we arrived at the Boardwalk we took a peek inside the General Store and at all the different restaurant menus. It's such a fun area to walk through and there are lots of places to grab a drink or a bite to eat. While we were there we also made sure to make use of the photobooth! If you have memory maker attached to your Walt Disney World tickets you can use the photo booths around Disney for free and download the photos. We obviously had to commemorate our engagement! By now we'd made it back around to the Beach Club so it was sadly time to leave. 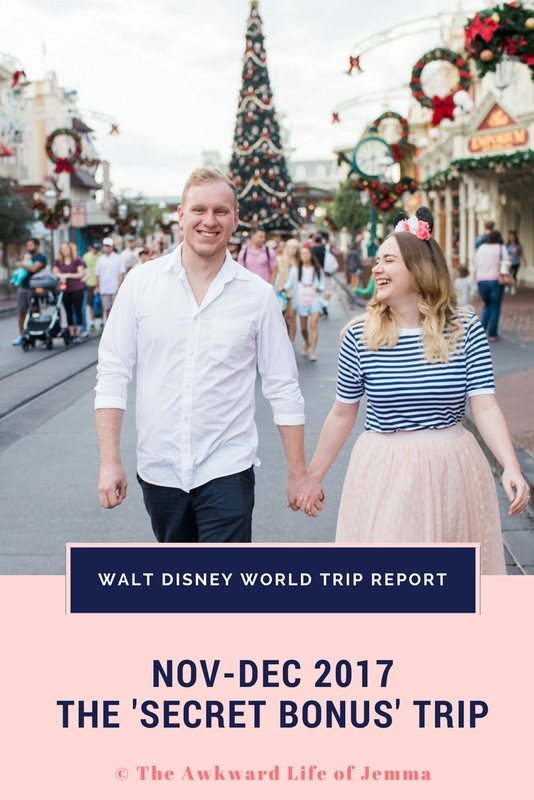 I'm so excited to spend more time here in 2018 though! 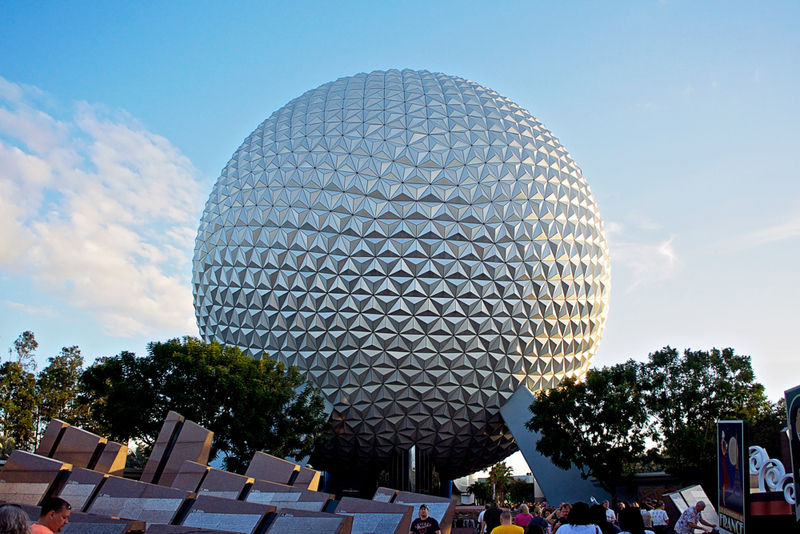 We headed into EPCOT with golden hour approaching so everything was starting to glow in the sunlight. We couldn't pass up a ride on Spaceship Earth so we did that first to say 'hi' to Dame Judy and see what our future holds. We also stopped by Starbucks to pick up another 'You Are Here' mug and another Venti Frappucino as a new addiction was forming...($5.49). Food and Wine Festival was still running but coming to a close so it was busier than usual around. 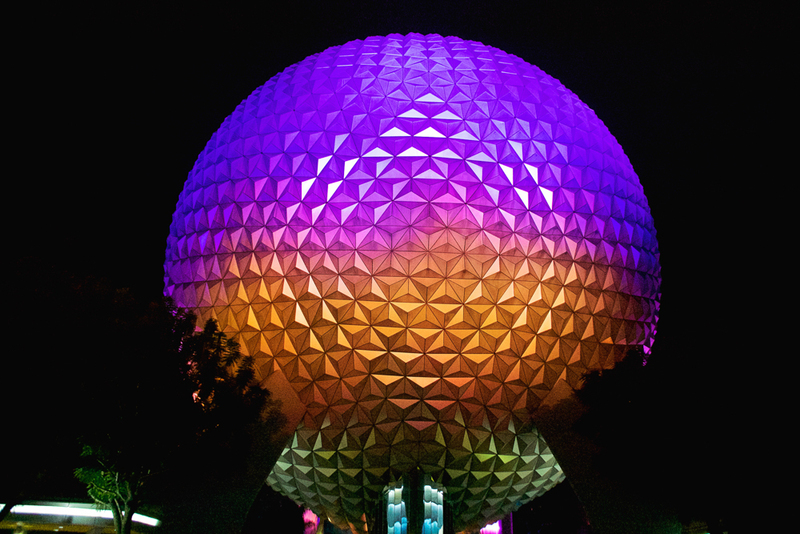 We took a stroll around the World Showcase anyway and found a huge crowd of people waiting for Boys II Men to perform at Eat to the Beat so instead we made our way over to The Land to have dinner at Sunshine Seasons. Despite hearing really good things about this quick service restaurant we weren't that impressed. Harry had half a chicken with rice and black beans and swapped his dessert for a bag of Cheetos while I had Mongolian beef and a kind of apple and cranberry crumble. The food seemed to have been sat around for awhile so it wasn't the best so I left most of mine and ate all the dessert instead! 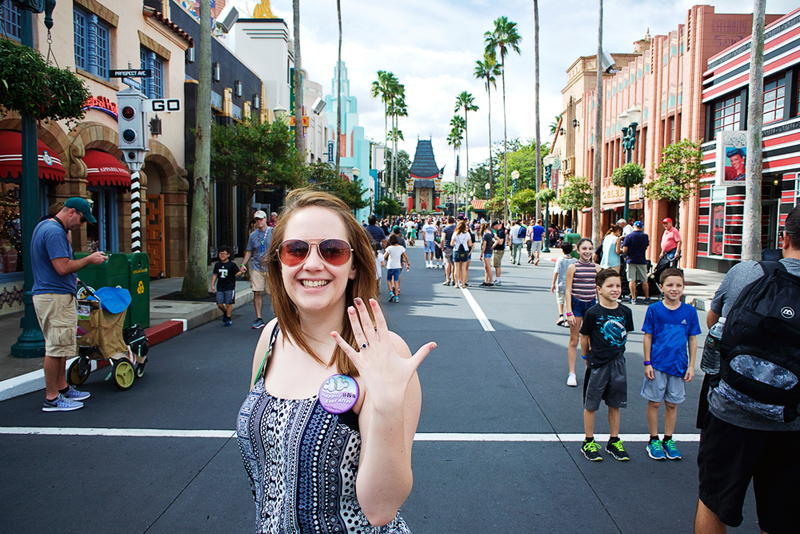 The cast member who served us, Doris, was lovely though and was really excited about our engagement and Disney wedding. ($39.55 inc. drinks). 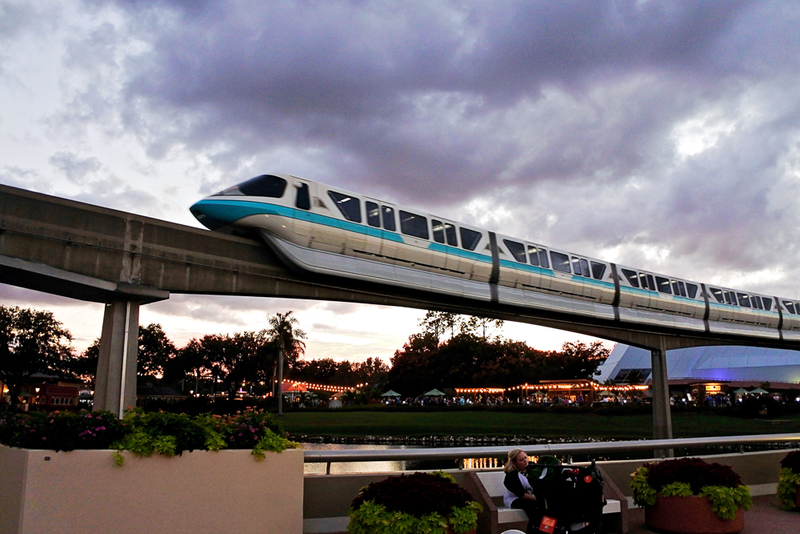 After dinner we headed over to Test Track past the Fountain of Nations which was performing 'Celebrate the Future Hand in Hand' which is a total throwback to me performing the song in a dance school show so I couldn't help but sing along. 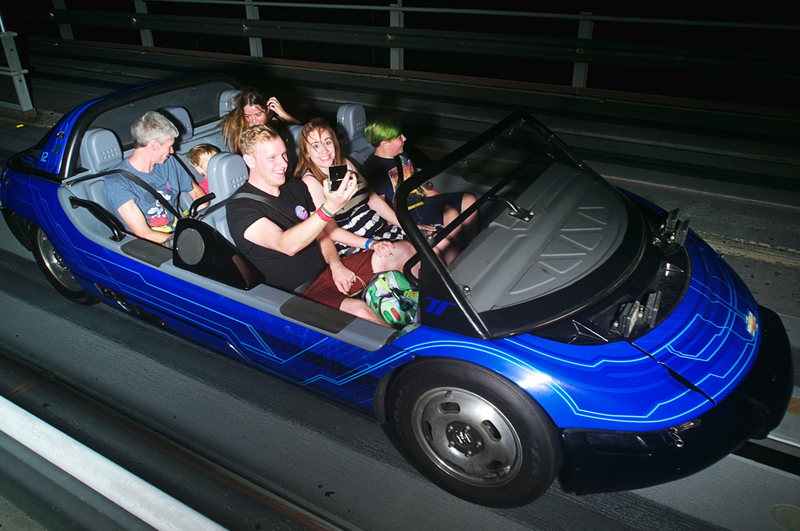 Harry was finally able to design a car that got a better score than mine on Test Track so he was happy too. 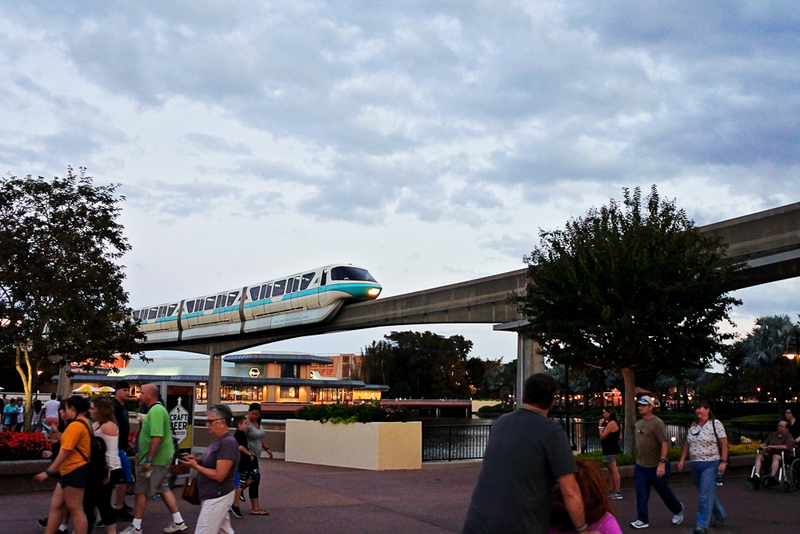 By now it was time to brave the World Showcase once again to get a spot for Illuminations. This time we were able to catch the end of Boys II Men's set as we walked past the America Gardens Theater and obviously we had to sing along to 'End of the Road' in a really cheesy manner! After a whole loop of the lake (for a second time that night) without securing a spot we ended up back in Mexico for the fireworks. It's the first time I remember watching them properly and we were both impressed with the music and the pyro but found the storytelling harder to follow. 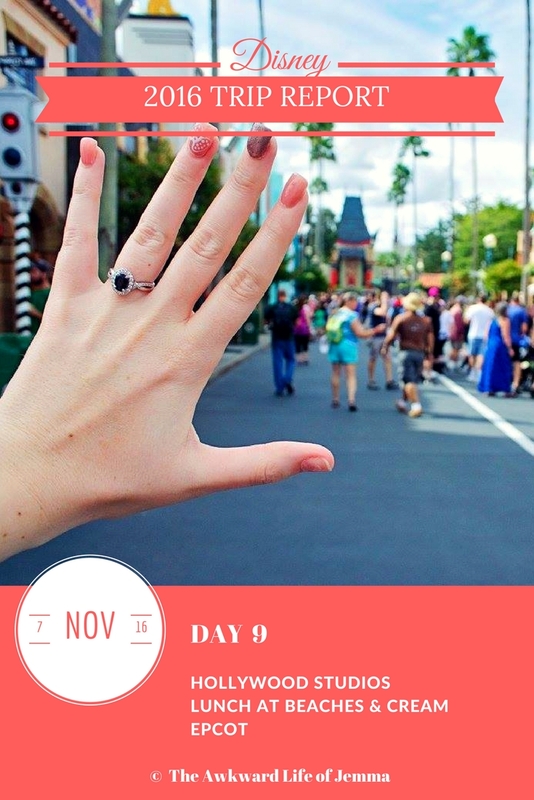 Read about the day before: Day 8 - Be Our Guest Breakfast Review, Magic Kingdom, Animal Kingdom, 'Ohana Review & Getting Engaged!